The most time consuming part of this project is the collecting of pieces. some enamel pieces I found at Michaels, earrings and rings I took apart. but using a purchased base, finally brought me the success I was looking for. (a great tip themselves for inexpensive trend accessories). The second big key to this project- wire. Each piece has been wired onto the open weave necklace, in a manner similar to sewing. 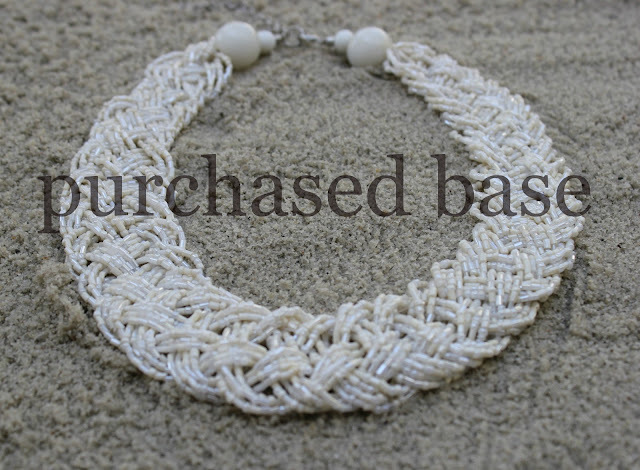 tuck the twisted ends into the necklace, to avoid being scratched when wearing. I chose to line mine on the back side with a piece of fabric cut into a strip and whipstitched on. of the exposed 'stitches' of wire. and voila you now own your one of a kind vintage brooch necklace! WOW. i can't believe you made that! your photography is beautiful and you're so creative! You are Stunning ... and I want that necklace. I love your vintage brooch necklace. 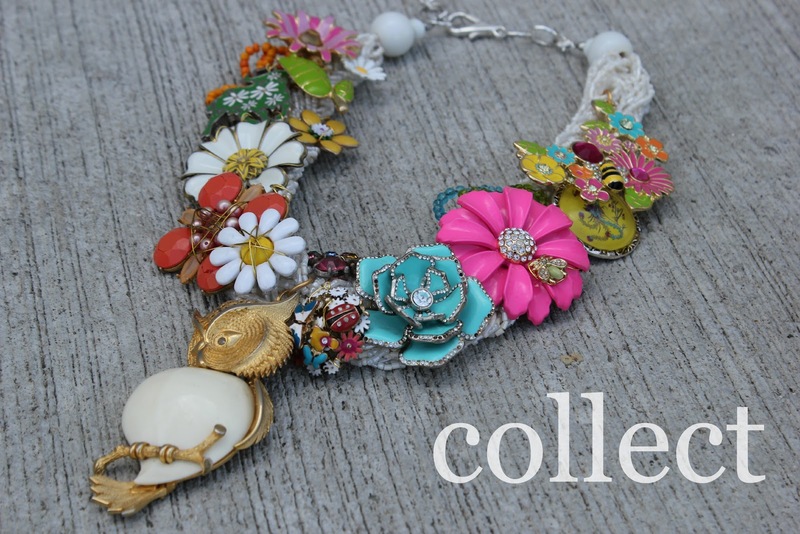 Every item is so, so, so beautiful and the colours are so bright. Must have been fun to collect them. Thanks for sharing. I can't wait until your items are available for US! That is gorgeous! Thanks for giving the DIY! 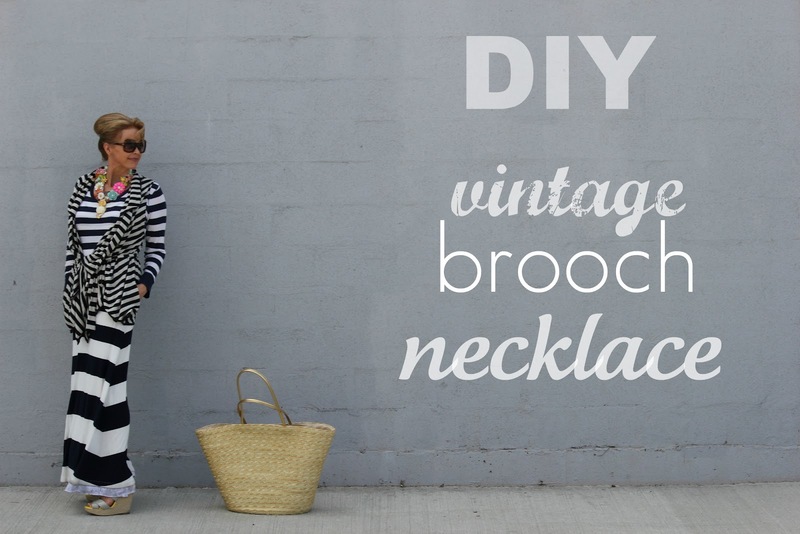 What a fun DIY, and a unique Statement Necklace. I love how you've paired the colorful necklace with the black-and-white stripes. Thanks so much for linking up! Wow...I want to do this! What a great idea and it looks amazing. You are so creative, Tamera. I might start collecting toward this goal...I already have a base similar. Thanks for such great ideas. Oh my godsh, I LOVE this!!!! 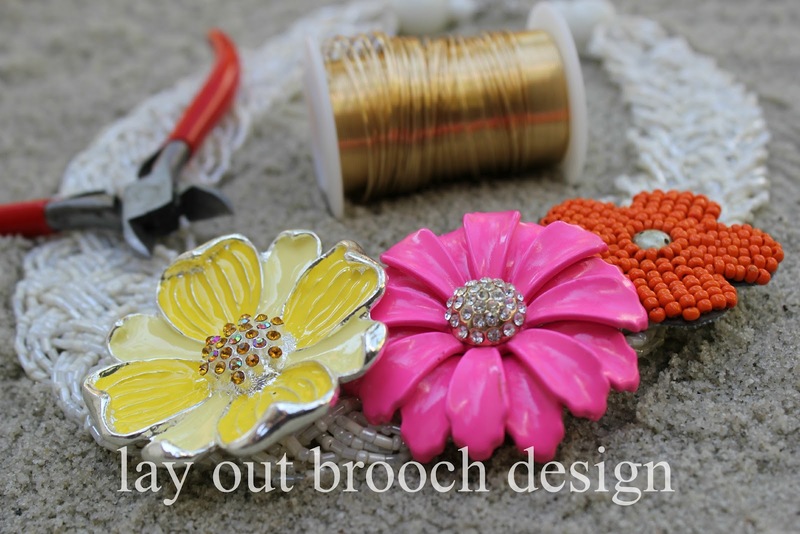 I have tons of vintage brooches and am always looking for new inspiring way to wear them! Great tutorial, the base is key! So clever. I LOVE it! :-) This is amazing! So cleverly made. What a lovely unique piece you get with this. Thanks for the expanation. omg- I just came across this!! (and I thought I had read ALL your blog posts!!). This looks so fun!!! 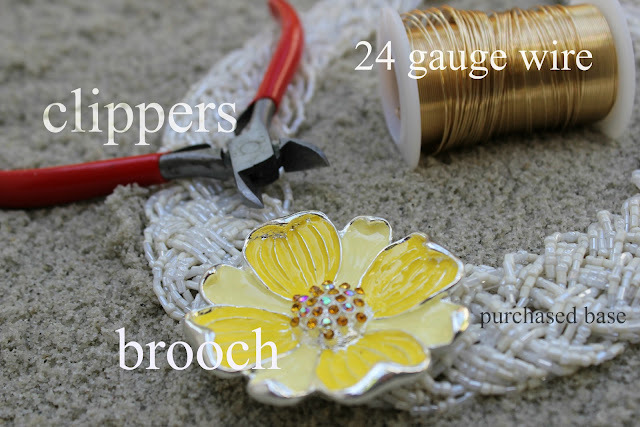 - and I think I actually have some super fun old brooches! Thanks for all the inspiration in your blog!! I look forward to every single posting!! Cheers, dear Tamara!